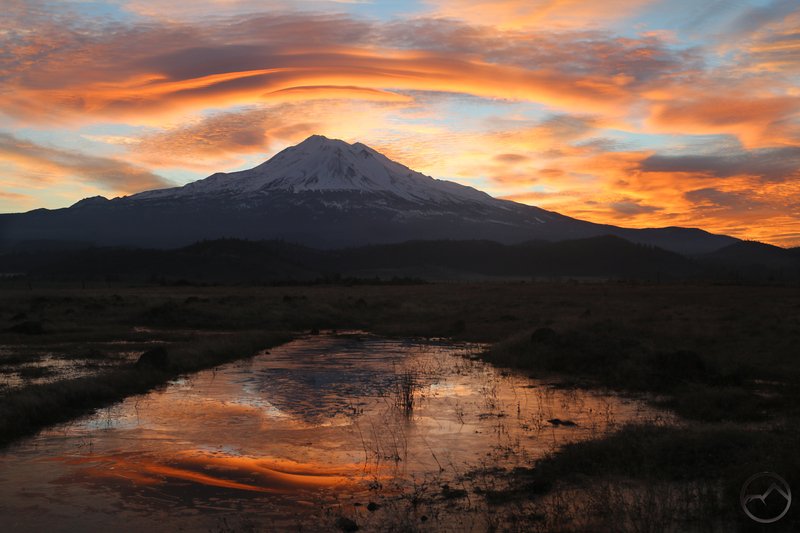 Lemurian sunrise over Mount Shasta. 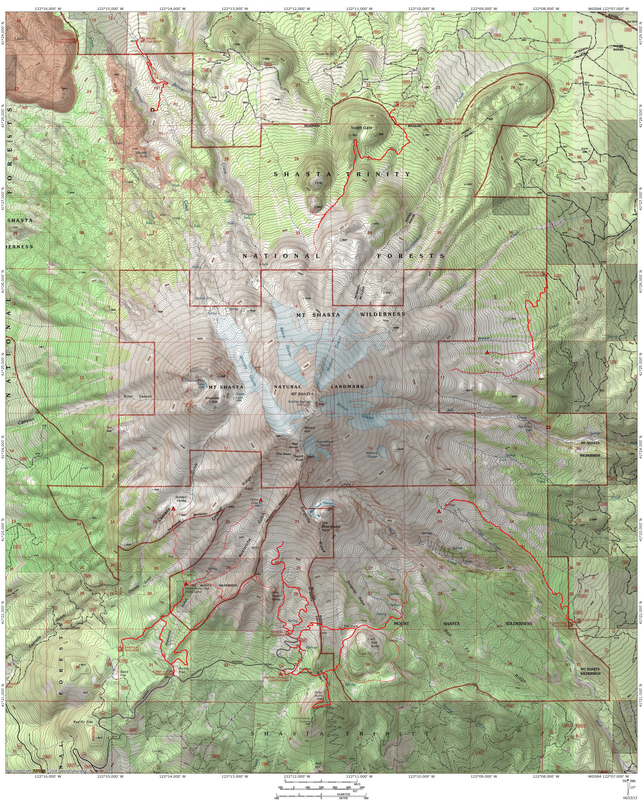 It has never been my plan on Hike Mt Shasta to make a monthly review of images of the mountain that I have taken. I first did so for December because is proved to be an unusually spectacular month. I reckoned it would be a one-off or extremely rare post since it is not common that so many excellent events occur around Mount Shasta in a solitary month. All plans are eventual casualties and this plan is no different. January came along and, quite possibly, surpassed December. Crowning the month were three lenticular events, two of which were first rate spectacles. There have also been quite a few other gorgeous sunrises, sunsets and, to top it off, the snow came and returned Mount Shasta to its stark, white icy self. All of these combined make for an unusually spectacular month. Two sublime months in a row…I think I like this trend! The following images are posted in chronological order. They represent nearly half the days in January. Many of the other days were overcast as the snow and rain fell. Those days that were clear, were more often amazing. Incredibly beautiful photography…thanks for sharing.